The United Arab Emirates [UAE] authorities have refused to allow Sarah Leah Whitson, Middle East and North Africa director of Human Rights Watch, to enter the country on 24 January, 2014, for a planned two-day visit to Dubai. The move followed the country’s forced cancellation on 23 January of a Human Rights Watch news conference to release its annual World Report 2014 in the UAE. Whitson had traveled to the UAE on numerous occasions.“These petty tactics by the UAE authorities to muzzle Human Rights Watch only demonstrate the government’s intolerance of free speech and fear of critical discussion,” said Kenneth Roth, executive director. “Human Rights Watch will continue to document abuses in the UAE and to urge the government to comply with its most basic human rights obligations.” “While UAE newspapers regularly use the work of Human Rights Watch from around the world, it’s a pity the government can’t tolerate any review of its own record,” Roth added. 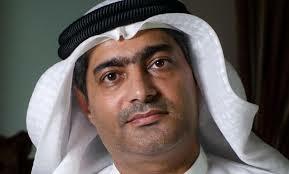 via UAE: Human Rights Watch Official Refused Entry | Human Rights Watch.